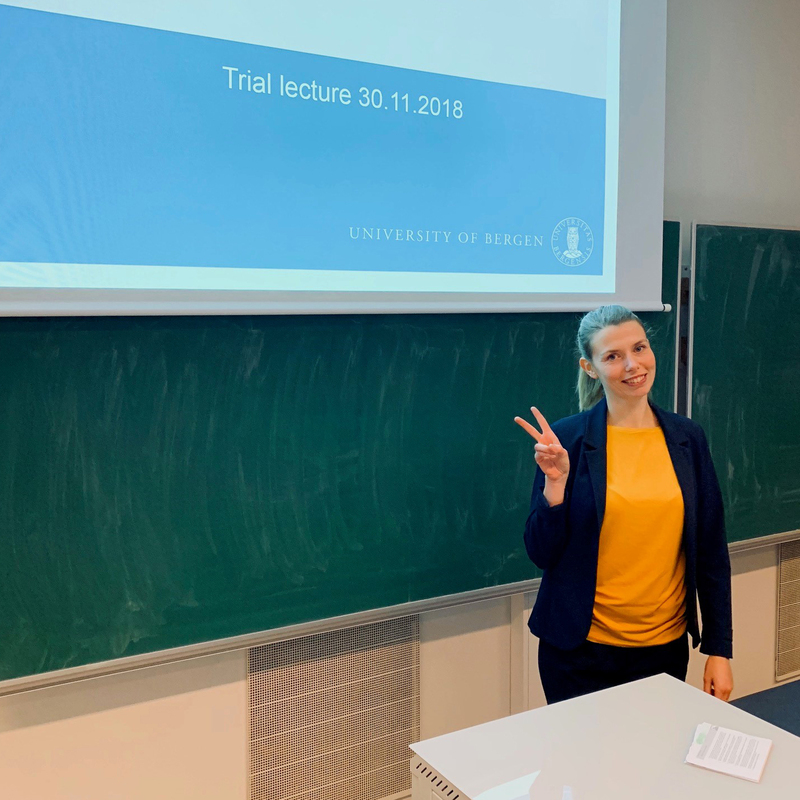 Lene Sveen defended her doctoral thesis at the University of Bergen on 30 November 2018. “My message would be that we need to keep preventive fish health in mind when we design closed systems. I think it will be exciting to see how the industry resolves this challenge.” Photo: Elisabeth Ytteborg/Nofima. Researcher education is an area in which CtrlAQUA can undoubtedly claim success, just half way through the centre’s lifetime. “From a purely quantitative perspective, we can claim success because we have already had eleven out of our fifteen doctoral candidates and twenty-two master’s students at the centre,” says Sigurd Stefansson, who heads the department for education and recruitment in CtrlAQUA and is a professor at the University of Bergen. 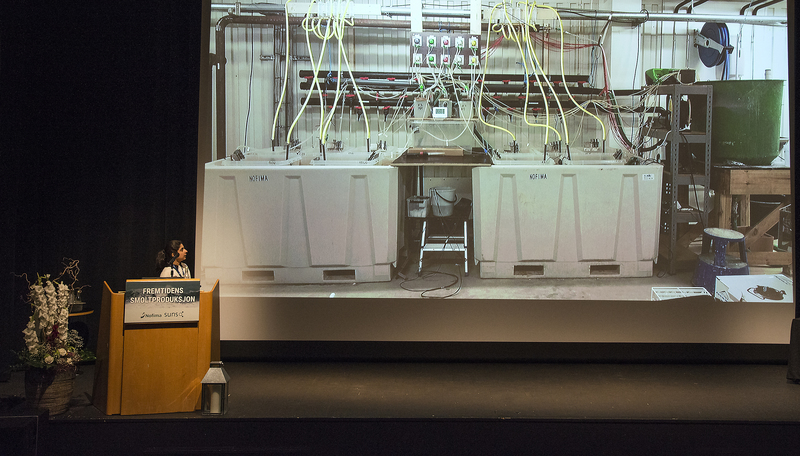 Doctoral candidate Sharada Navada presented her research on biofilters at the conference «Smolt production in the future” at Sunndalsøra in October. Photo: Frode Nerland/Nofima.